Oleta is my favourite Stuart Crystal pattern. There are 6 lead crystal liqueur glasses and matching decanter. The finely cut bowls of the glasses are conical shaped above a faceted stem and a split cut round foot. The small decanter is conical with the same finely cut pattern as the glasses, which pattern is repeated on the stopper. 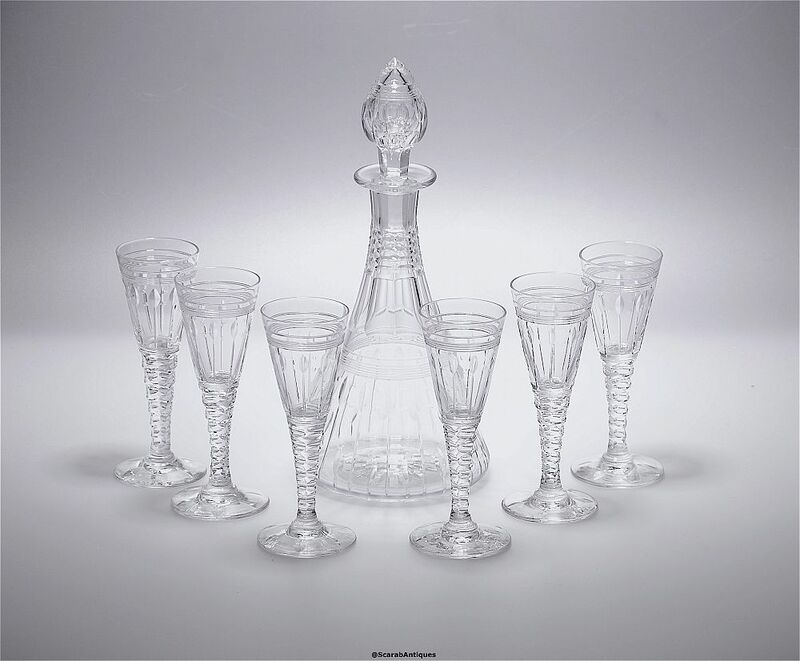 The bases of all of the glasses and of the decanter are acid etched "Stuart England". A very elegant set.